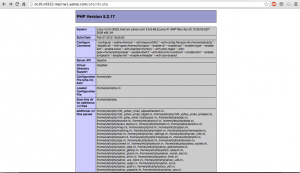 during my research of yahoo i found a phpinfo.php file information disclosure vulnerability, on one of their servers. 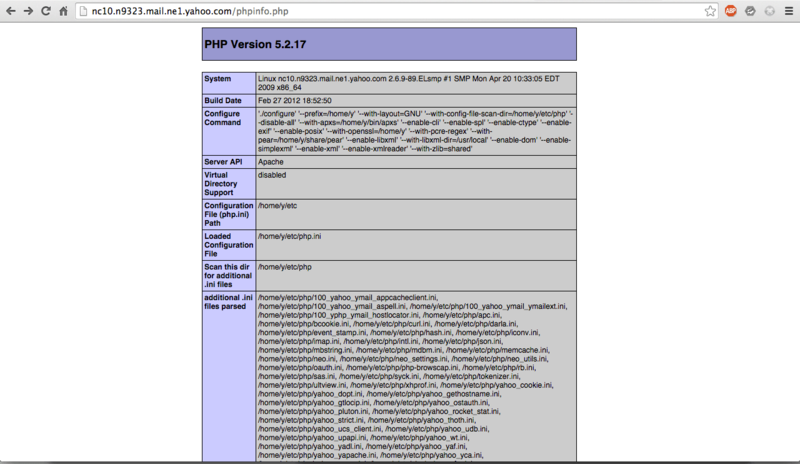 The server on which i found that particular file was : http://nc10.n9323.mail.ne1.yahoo.com/phpinfo.php you might ask yourself how on earth i found this server. Let me explain what i did: Since the scope for the vulnerability program of yahoo is *.yahoo.com i did a ping on the main domain of Yahoo to find out the corresponding ip adress. The result was 98.138.253.109, the next thing i did was a whois request on that domain to find the netrange of this ip adress. and yes the result was the one i’ve found above.